A separate basement flat in this Notting Hill conservation-area property was reconnected to the owner’s existing home on the ground and first floor to make one luxurious dwelling. The basement was lowered and extended to create a light, spacious living area along with two guest bedrooms, one with an en-suite bathroom. Full-width folding glass doors open out onto the garden, which was also excavated and redesigned by Hogarth Architects. 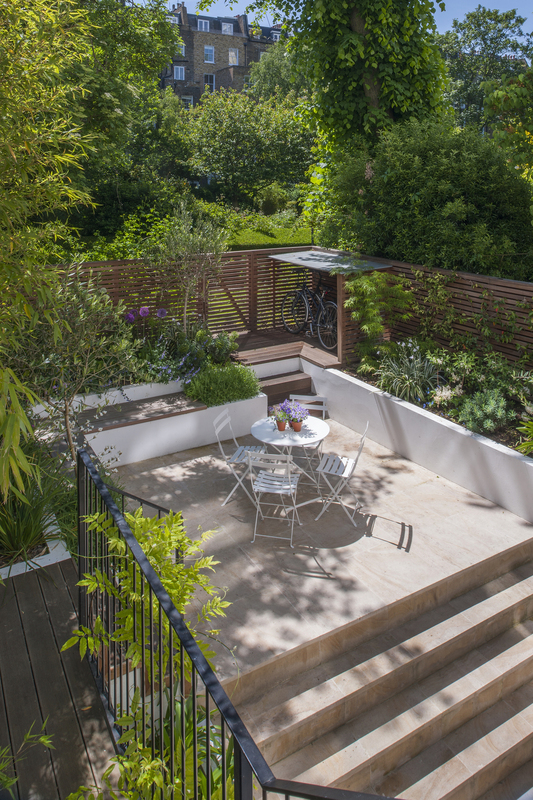 Steps lead from both the lower patio and ground-floor balcony to a raised, south-facing seating area, surrounded by flower beds and planters, creating a peaceful yet sociable area, perfect for summer months.